In the latest medical discovery, a new study has found the significant role played by coffee in people suffering from Parkinson’s disease. Based on the new research, regular intake of coffee benefited those who have the disease by way of helping control their movement. This is considered one of the first studies in humans suggesting that caffeine can help in the movement of people diagnosed with the illness. A total of 61 people were involved in the study. They were all displaying symptoms of Parkinson’s disease such as sleepiness during the day. The researchers then divided them into two groups with one given only a placebo while the other group was given the pill containing 100 milligrams of caffeine which they took twice a day. After the first three weeks, their dosage was increased to 200 milligrams twice a day for another three weeks. 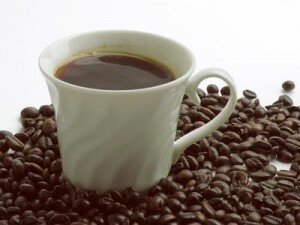 The caffeine consumed was equivalent to about two to four cups of coffee per day. Among those who were given caffeine, the researchers found a five -point average improvement in the severity of their condition. Additionally, they displayed a three-point improvement in their motor symptoms such as the speed of their movement and body stiffness compared to those who were only given the placebo. In the area of daytime sleepiness, depression and quality of life, there was not much positive improvement owing to the short duration of the study. The experts expressed enthusiasm on these findings considering the fact that coffee can become a cheap alternative to helping control body movement which is a major symptom of Parkinson’s disease. They suggested that caffeine can be explored as a treatment option and can even be used as a supplement to the regular medications.